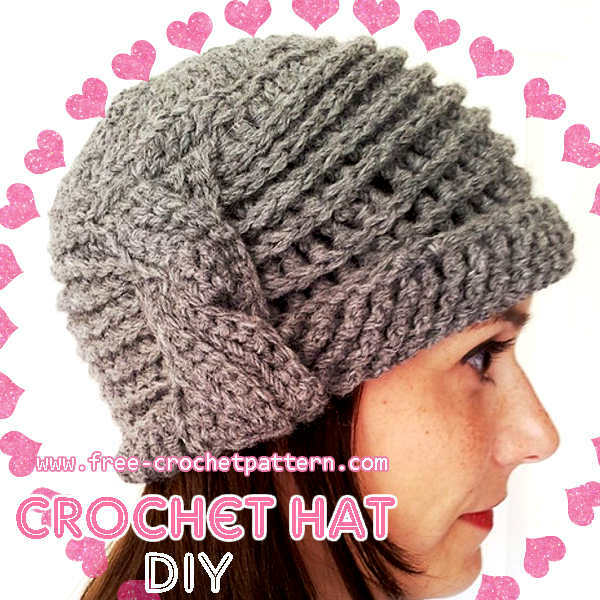 If you're looking to do yourself your own accessories, crocheting this side-cable cloche hat can be a great project. If you're new to the art of crocheting, making a whole hat may seem intimidating. However, with some simple directions and a bit of time, you'll get the hang of it in no time. *The picture shown was using a bulky yarn, however, some bulky yarns may be too thick to obtain correct gauge. If this occurs, try a worsted weight. This cloche is worked in the round, top down. The bottom edge of the hat is folded up 2" on one side, then the twisted cable (worked separately) is attached from the folded edge to crown. Gauge: 16 sts & 8 rows = approx 4"
Repeat row 8 until ribbing part of work measures 9" tall, or until desired length is achieved. Row 3: blsc, across Repeat rows 2 & 3 until work measures 2" wide. Finish off leaving a 8" tail.